For the first time ever, the iPhone X will be available in India at the same time as 54 other countries. 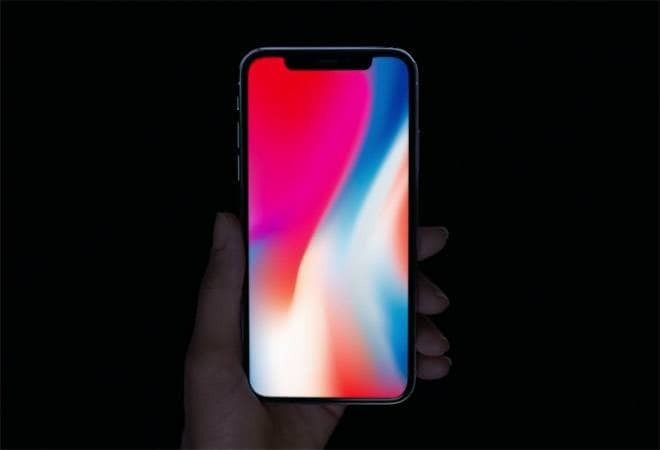 The prebooking opens on October 27 and the iPhone X will be available at Apple Authorised Sellers on November 3. The iPhone X will be available in 64GB and 256GB models with a starting price of Rs 89,000. What's new in iPhone X? Launched on the 10th anniversary of the iPhone, the iPhone X was being referred as the iPhone 10 during the keynote presentation. Referred as 'the future of the smartphone', it has got an all-glass design with a 5.8-inch Super Retina display with an OLED panel, the A11 Bionic chip, wireless charging and an improved rear camera with dual optical image stabilization. With no home button on the iPhone X, it comes with a new and secure way to unlock, authenticate and pay using Face ID, which has been. enabled by the new TrueDepth camera. To go to the home screen, one will have to swipe up from the bottom. It also packs in a redesigned dual 12-MP rear camera system with dual optical image stabilization. There is a f/1.8 aperture on the wide-angle camera along with an improved f/2.4 aperture on the telephoto camera for capturing better images and videos. Apple has also added a new colour filter, deeper pixels and an improved Apple-designed image signal processor that the company claims deliver advanced pixel processing, wide colour capture, faster autofocus in low light and better HDR photos. There is also a new quad LED True Tone Flash offering twice the uniformity of light and includes Slow Sync, resulting in more uniformly lit backgrounds and foregrounds. There is also the Portrait mode with Portrait Lighting on both the front and rear cameras brings dramatic studio lighting effects to iPhone. The camera has been tuned for AR experience, where each camera has been individually calibrated, with new gyroscopes and accelerometers for accurate motion tracking. The A11 Bionic CPU can handle world tracking, scene recognition, and the GPU enables incredible graphics at 60fps, while the image signal processor does real-time lighting estimation. The glass rear also enables Wireless Charging powered by Qi Standard. "For more than a decade, our intention has been to create an iPhone that is all display. The iPhone X is the realisation of that vision," said Jony Ive, Apple's chief design officer. "With the introduction of iPhone ten years ago, we revolutionised the mobile phone with Multi-Touch. iPhone X marks a new era for iPhone - one in which the device disappears into the experience."